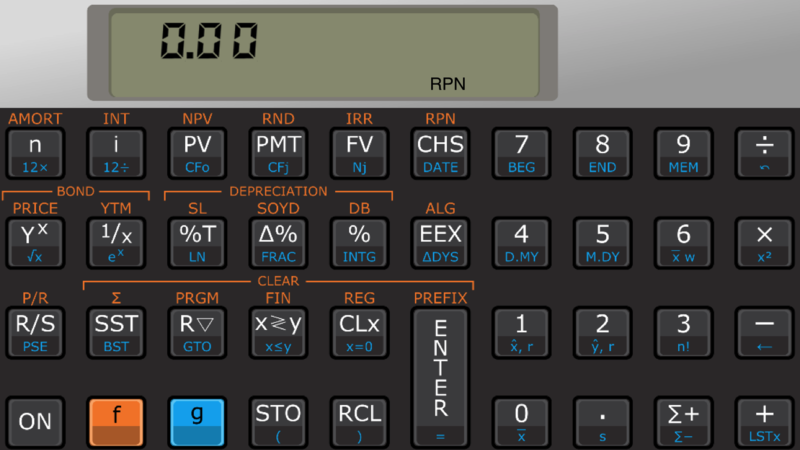 Touch RPN (formerly known as Touch Fin or Touch 11i) is a financial and scientific calculator for iPhone. It implements most features of the industry-standard HP-12C calculator, including programming functions. Touch Fin uses the same engine of the proven HP-12C Web emulator. It aims to reproduce all features (and limitations) of the real device. The calculator mimics the real device as closely as practically possible, including details such as rounding up of n in financial calculations. It shares the same limitations as the real 12C: only 99 programming steps, 20 memory positions, etc. 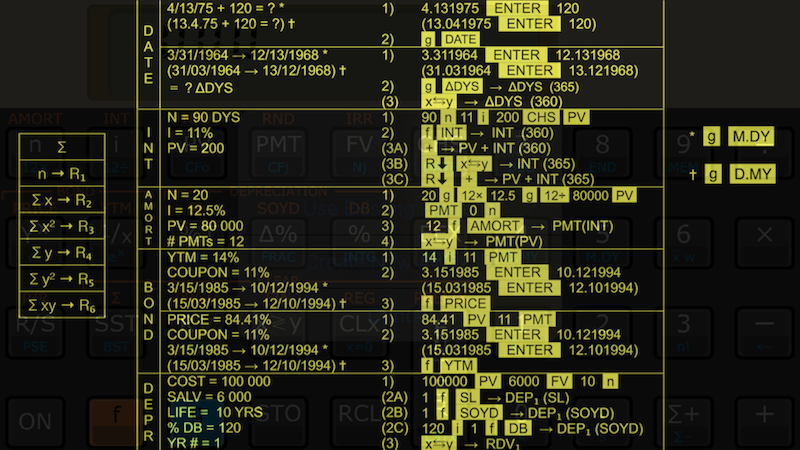 Touch the upper left corner to copy the displayed value (the X register) to the clipboard. A feedback alert is shown on screen. The value is copied in a "spreadsheet-friendly" format: no thousand separators and point as decimal separator. 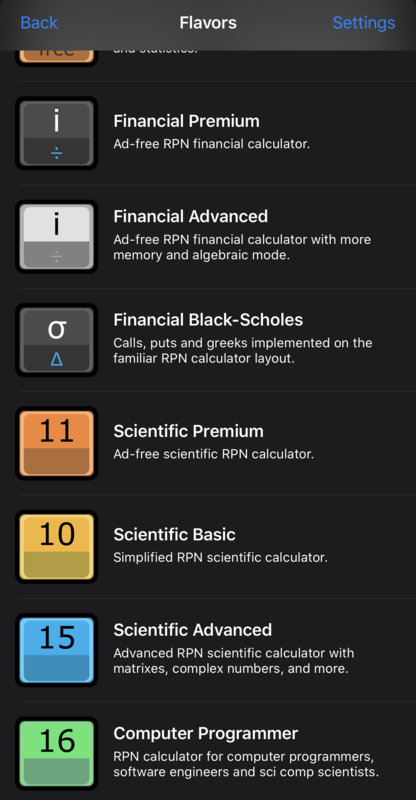 This app implements all RPN flavors that used to be sold as premium apps: Touch Fin, Touch Palladium, Touch Fin Black-Scholes, Touch 10i, Touch 11i, Touch 15i and Touch 16i. Out of the box, the app offers two free flavors: financial and scientific. Press ON to select the active flavor. To enable a greyed-out flavor, just touch it and confirm the purchase. If you had bought a premium app, the respective flavor is automatically enabled in Touch RPN. All you need to do is to install the old app on the same phone where Touch RPN is installed, and run the old app at least once. Then, go back to Touch RPN and confirm the flavor is enabled. The rights inherited from old apps are registered at your Apple account as zero-cost in-app "purchases". They will guarantee that your RPN flavors will remain enabled on your next phone. The App Store will ask for confirmation of these "purchases"; please confirm them to secure these rights. Likewise, all flavors you purchase will be available on all your iOS devices connected to the same Apple ID, and will continue to be available on future devices. 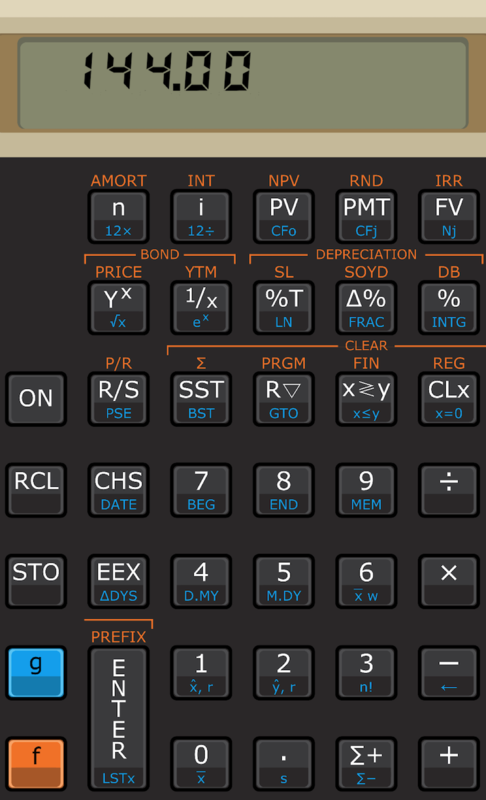 The Black-Scholes flavor is "apocryphal" — there has never been a physical calculator with this layout. Read this instruction page to see how it works. Besides the ad-free experience, many other features are available for the premium (paid) flavors. 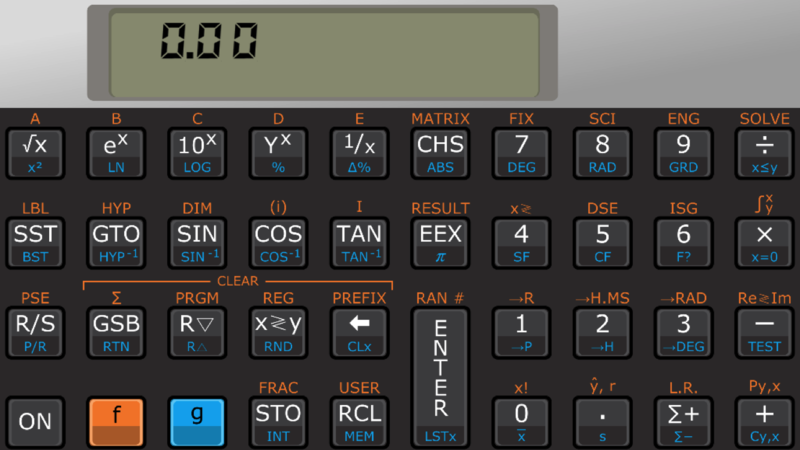 Touch the upper right corner of the screen to open a quick guide for some operations of the calculator. The vertical layout can be more practical if you like to use your phone in portrait orientation. The current calculator memory (including all registers and programming steps) can be saved. You can save as many memories as you want, e.g. if you have many programs and want to load them later. Each flavor uses different key combos to save memory. Refer to this section to learn them. 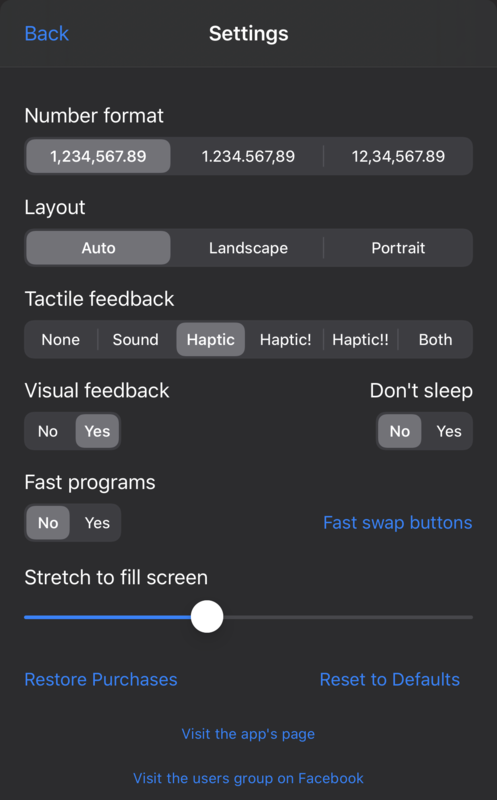 The Settings pane has been reformulated in this new version. It no longer follows the old style and no longer adds a pane in System Settings menu. To open the new Settings pane, press the ON button, then "Settings" at the right top corner, to access the preferences panel. Some RPN flavors allow to store and retrieve images of the memory. This is especially useful to have many different programs available and ready to use, as well as to transfer data between devices. Memories are stored locally as well as in iCloud. If you have configured iCloud in all your phones and tablets, you can transfer memories between them. STO CHS save memory. Type a label for the memory and touch OK.
RCL EEX load a previously saved memory. Select the memory from the list and touch OK.
RCL g EEX delete a previously saved memory. RCL g EEX delete memory. STO g CHS save memory. RCL g CHS load memory. RCL g CHS delete memory. 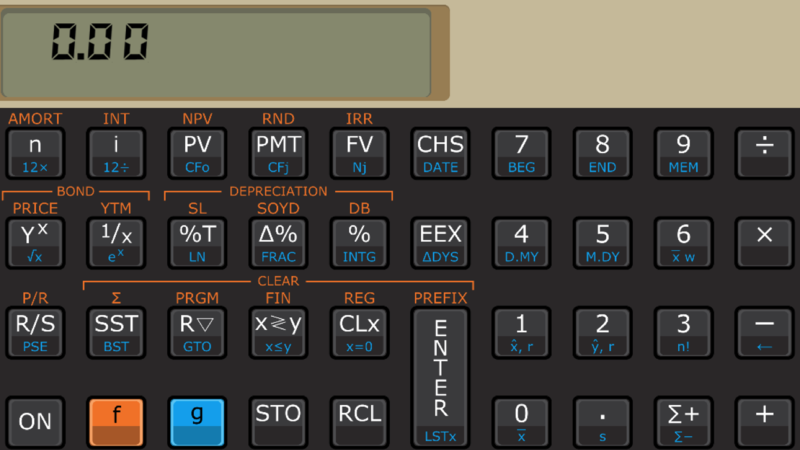 Financial calculators: based on HP-12C Web emulator. 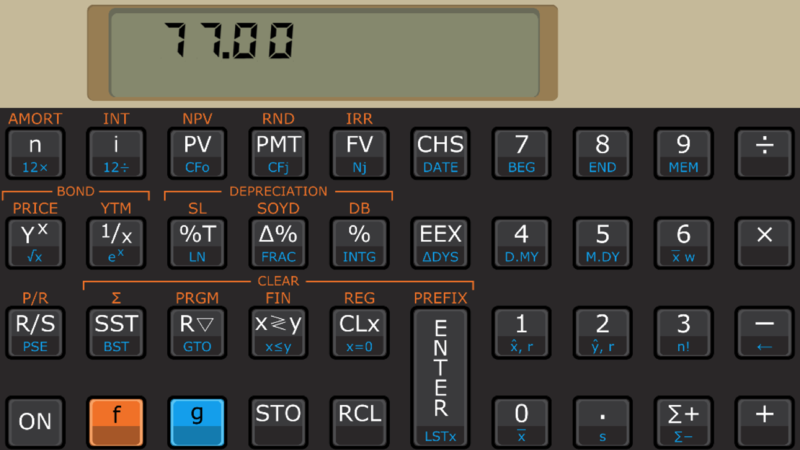 Palladium financial calculator: based on HP-12C Platinum Web emulator. 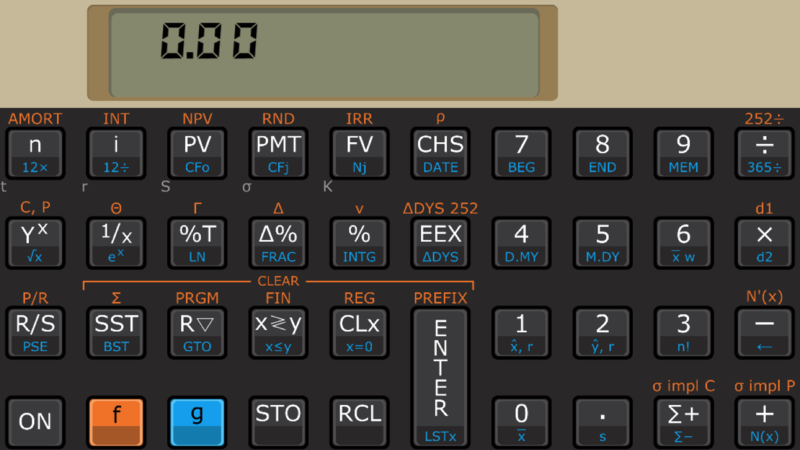 Black-Scholes financial calculator: based on BS-12C Web calculator. In case you are already familiar with HP-12C and/or our calculator, read this manual to learn how to use Black-Scholes features. 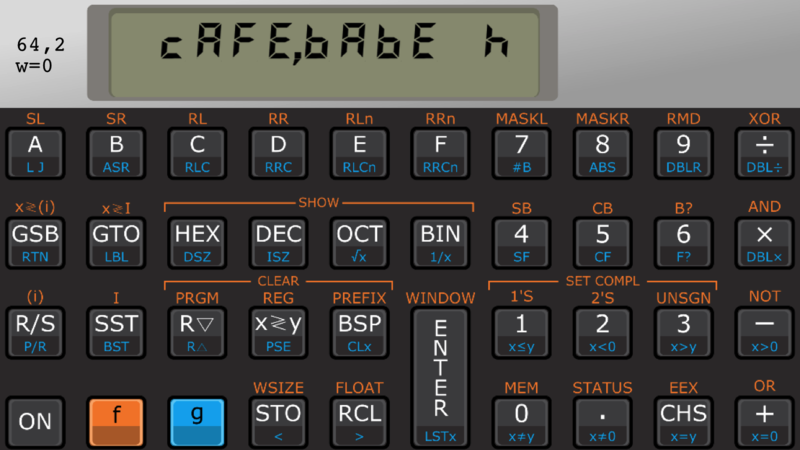 Scientific calculators: based on HP-11C Web emulator. 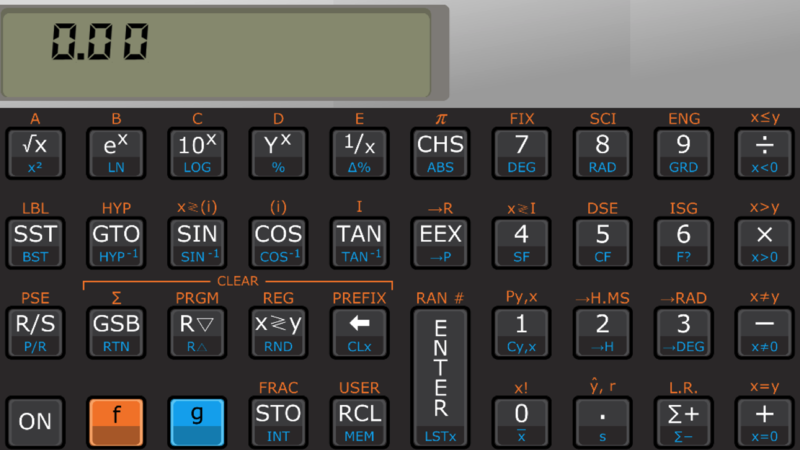 Advanced scientific calculator: based on HP-15C Web emulator. Basic scientific calculator: based on HP-10C Web emulator. Computer programmer's calculator: based on HP-16C Web emulator. Calculations use 15-digit precision, so there can be minor rounding differences in comparison to a real unit. Minus sign in LCD emulation looks different. Speed is different; generally this calculator is much faster. You can use all programming steps and all STO positions at the same time, while in the real unit they share the same memory and there is a tradeoff. Annunciators like BEGIN, RUN, PRGM etc. occupy different positions. Also, there is a slight augmentation in footer elements. For example, RUN shows the program step, infix STO shows the operation and so on. The calculator is offered "as is". There are no guarantees of precision, exactness, or aplicability to any given purpose. The developer has no responsability for any damages incurring from usage of this software. Always double-check results against other sources if you are going to take some actual financial decision! The app does not send any user data to any remote party, and it does not share operation data with other apps. Please use the comment section at this page, or contact me by e-mail if you have any issues or feedback.